Blue Ribbon Fried Chicken opened in the East Village today and though the food isn’t gratis anymore, the dining room was pretty packed. The line was only about eight people strong so there’s no real reason it should’ve been out the door but it sure makes for a better headline. 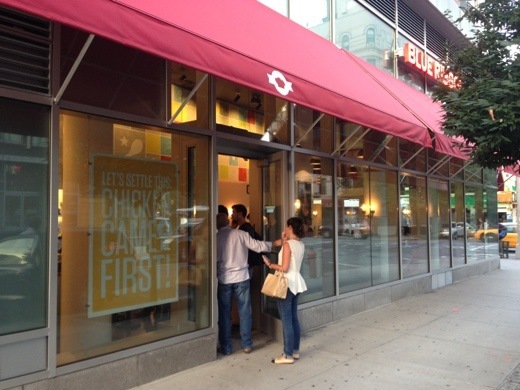 After a series of delays and under-the-radar soft openings (um hello, where was B+B’s invite? ), Blue Ribbon Fried Chicken is finally hatching today, which is a relief because we are running out of chicken puns. 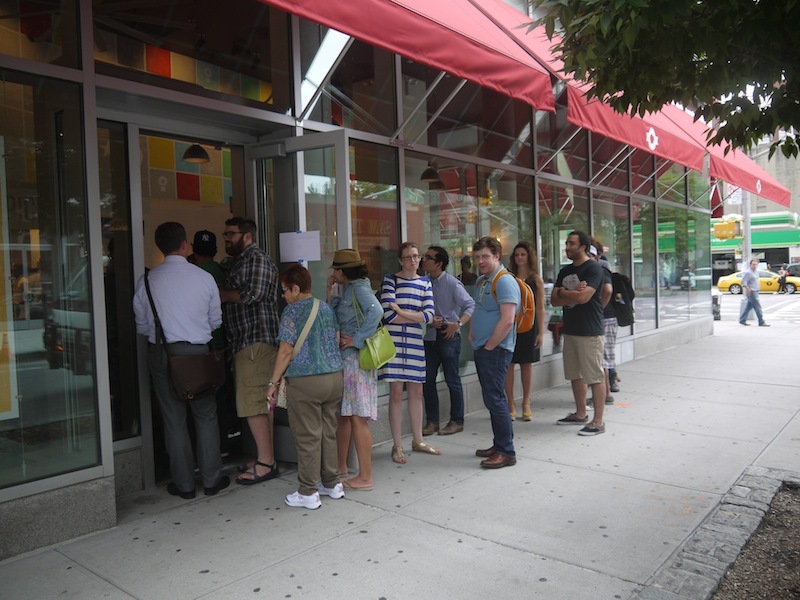 Earlier today, an employee told us the restaurant would be hosting a free tasting around noon, and then closing and re-opening for another free tasting around 6 p.m. Word has gotten out: as we post this, there are 25 people in a line that stretches out the door. Some of them are getting disgruntled (one of them said the line hadn’t moved in 15 minutes) but if you’re in need of a free lunch, you might want to stop yolking around and get over there.